Welcome to the August 2, 2017 edition of ACM TechNews, providing timely information for IT professionals three times a week. Why Was MacronLeaks' Influence Limited in the French Election? Imperial College London professor Erol Gelenbe says artificial neural networks can ease language translation by executing a three-step process. The process includes word translations, syntax mapping, and contextual translation, which Gelenbe, recipient of the 2008 ACM SIGMETRICS Achievement Award, says the neural networks can achieve by storing and matching patterns. 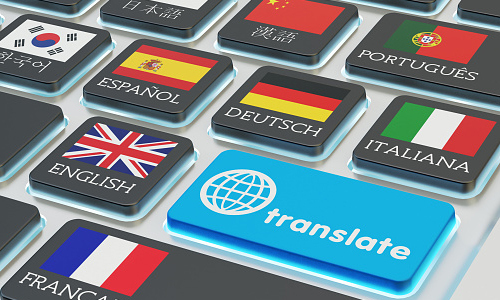 A key element of the translation process is long short-term memories (LSTMs), which support machine learning and can learn from experience. Swiss Dalle Molle Institute for Artificial Intelligence president Jurgen Schmidhuber expects LSTM recurrent neural networks to eventually enable "end-to-end video-based speech recognition and translation, including lip-reading and face animation." Meanwhile, Google Brain recently announced its researchers are using neural networks to improve speech-to-text translation. Microsoft Research's Rick Rashid says the creation and deployment of deep-learning neural networks by his company's researchers has significantly reduced word error rates in transcribed translations, which he notes could be useful to international business dealings, and have a major effect on cross-industry learning. Researchers from the University of Cambridge in the U.K. analyzed Twitter data to determine whether celebrity-level accounts with more than 10 million followers exhibit more bot-like retweeting behavior than users with fewer followers. The team's bot detection algorithm achieved about 86-percent accuracy in detecting bots on Twitter using a classifier known as Random Forests, which employs 21 features to identify bots. The classifier is trained on the original dataset annotated by human researchers. Differences between bot accounts and those run by humans include the former generating more tweets than the latter, while also retweeting far more frequently, and redirecting users to external websites far more often. Still, humans' tweets are more engaging, receiving on average 19 times more likes and 10 times more retweets than bot accounts. The research will be presented this month at the IEEE/ACM International Conference on Advances in Social Networks Analysis and Mining (ASONAM) in Sydney, Australia. Researchers at the Max Planck Institute for Intelligent Systems (MPI-IS) in Germany have developed ClothCapture (ClothCap), technology that can digitally capture clothing on moving people, turn it into a three-dimensional digital platform, and dress virtual avatars with it. 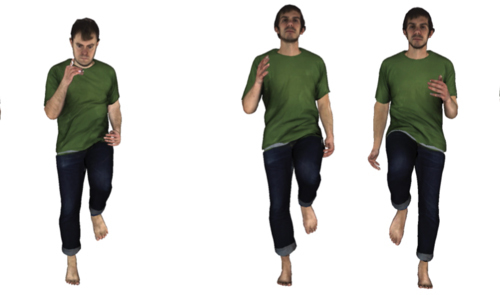 ClothCap uses four-dimensional movies of people recorded with a high-resolution scanner and computes body shape and motion under their clothing while separately tracking the garments. "The software turns the captured scans into separate meshes corresponding to the clothing and the body," says MPI-IS' Sergi Pujades. ClothCap could lead to systems enabling users to virtually try on clothes. "First a retailer needs to scan a professional model in a variety of poses and clothing to create a digital wardrobe of clothing items," says MPI-IS' Michael Black. "Then a user can select an item and visualize how it looks on their virtual avatar." The researchers presented their findings this week at the ACM SIGGRAPH Conference in Los Angeles. Researchers at the University of British Columbia (UBC) in Canada have created FlowRep, software that can create a design sketch of an everyday object. The researchers developed FlowRep using insights from Gestalt psychology, which explains how humans interpret visual content and understand depth from two-dimensional drawings. "This program answers the question about which surface curves we need to trace so that human observers can imagine a shape," says UBC professor Alla Sheffer. The research builds on earlier algorithms that can turn sketches and drawings into three-dimensional (3D) shapes. The programs can be used in conjunction to recreate objects, and could be applied to fields such as 3D printing and fabrication. During testing, the sketches and 3D curves produced by FlowRep were deemed comparable to those produced by professional designers. The researchers presented the program this week at the ACM SIGGRAPH 2017 conference in Los Angeles. A German journalist and data scientist say they were able to easily obtain the "anonymous" online browsing information of more than 3 million Germans by setting up a bogus company complete with a website, a LinkedIn page for its CEO, and a careers site. 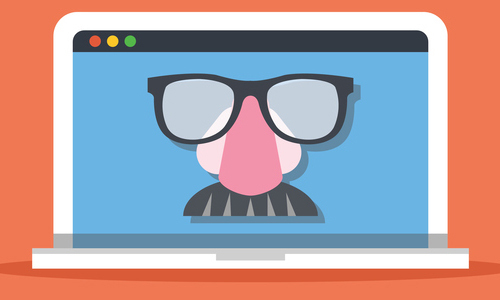 They used the fake company to test a hypothetical machine-learning marketing algorithm. "We wrote and called nearly a hundred companies, and asked if we could have the raw [browsing] data, the clickstream from people's lives," says journalist Svea Eckert. Eckert and fellow researcher Andreas Dewes eventually were able to secure the data from a single broker for free. Eckert and Dewes presented their findings last week at the DEF CON hacking conference in Las Vegas, noting the 3 billion URLs they acquired were diffused over 9 million different websites. Some site users were infrequent, with only a few dozen sites visited, while others had tens of thousands of data points. The University of Texas at Austin's (UT Austin) Texas Advanced Computing Center (TACC) has launched Stampede2, the most powerful supercomputer at any U.S. university, which UT Austin president Gregory L. Fenves says will enable researchers "to take on the greatest challenges facing society." Stampede2 was built with a $30-million National Science Foundation (NSF) grant, and its applications will include large-scale models and data analyses using thousands of processors simultaneously, and smaller computations or interactions via Web-based community platforms. TACC executive director Dan Stanzione predicts Stampede2 "will serve as the workhorse for our nation's scientists and engineers, allowing them to improve our competitiveness and ensure that UT Austin remains a leader in computational research for the national open science community." Stampede2 will have a peak performance of 18 petaflops while consuming half the power of Stampede1. It will be made available to researchers via NSF's Extreme Science and Engineering Discovery Environment. Researchers at the Massachusetts Institute of Technology (MIT) and Google have developed a cellphone-based system that can automatically retouch images. The researchers say the energy-efficient, machine-learning system can display the retouched pictures in real time and accelerate existing image-processing algorithms. For every new task the system learned, it was trained on thousands of pairs of images, both raw and retouched. The research builds on an earlier MIT project in which a cellphone would transmit a low-resolution version of an image to a Web server, which would return a "transform recipe" that could be used to retouch the high-resolution version of the image on the phone, lowering bandwidth consumption. Most of the image processing is handled on a low-resolution image to further boost efficiency. "This technology has the potential to be very useful for real-time image enhancement on mobile platforms," says Google's Jon Barron. The research will be presented this week at the ACM SIGGRAPH conference in Los Angeles. Robots capable of feeling tactile sensations from multiple stimuli is the focus of the European SmartCore project, which is researching how to embed highly sensitive sensor arrays at nanoscale that can pick up temperature, humidity, and pressure. "They will be made of a smart polymer core which expands depending on the humidity and temperature, and a piezoelectric shell, which produces an electric current when pressure is applied," says Graz University of Technology in Austria professor Anna Maria Coclite. She notes a successful prototype of the technology will be an artificial skin for robots, and says it could potentially scale down to a level at which the material could sense the presence of bacteria, or acidity in perspiration. Coclite says the first prototype should be ready in 2019, once the challenge of differentiating between multiple senses is tackled. National University of Ireland Galway professor Michel Destrade says enabling such a breakthough will require greater knowledge of biological tissue mechanics. Researchers at the University of Southern California examined the timeline of the 2017 French presidential election and used previous experience studying Twitter bots during elections to identify anomalies, patterns, and profiles of those who shared, consumed, and revived links to content meant to undermine the Macron campaign. 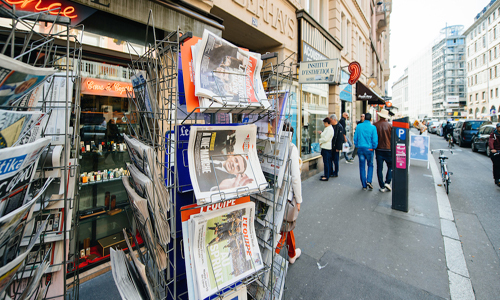 The researchers found the disinformation campaign targeting Macron was limited in its scope and impact because the campaign itself was mostly shared by foreigners outside of France. The team analyzed a dataset of nearly 17 million Twitter posts from April 27, 2017, through May 7, 2017, and used a combination of machine learning and other modeling techniques to discern bots from humans with more than 80-percent accuracy. The researchers estimated that 18 percent of the MacronLeaks promoters were bots, and that "#MacronLeaks" was tweeted about more often in English than in French, which could be a significant reason the disinformation campaign was not more detrimental to the Macron campaign. Researchers working on the European Union-funded Tunable Photonic Structures via Photomechanical Actuation (PHOTOTUNE) project have created an artificial iris that can react to light to the same degree as a human eye. The study harnessed photoalignment technology in conjunction with light-sensitive liquid crystal elastomers (LCEs) to build the iris. The research's key breakthrough is the artificial iris' ability to function more autonomously than previous efforts. "An autonomous iris that can independently adjust its shape and the size of its aperture in response to the amount of incoming light is a new innovation in the field of light deformable materials," says PHOTOTUNE researcher Arri Priimagi. The artificial iris, which looks like a contact lens, opens and closes its center based on the amount of light that strikes it. Priimagi says the PHOTOTUNE project highlights the potential of photonics technology for use in medical applications and the next generation of robotics. Researchers at Texas A&M University have devised a predictive risk analysis framework that can forecast a potential vulnerability to utility assets and map out the location and time of a possible outage. The researchers say this feature enables the trees in the most critical areas with the highest risk to be felled first. "Dealing with aging infrastructure assets adds another layer of complexity that utility companies face," says Texas A&M professor Mladen Kezunovic. "Any kind of environmental data that has some relevance to the power system can be fed into this prediction framework." The model's applications can be tailored by feeding it data such as a utility company's operational records, weather forecasts, altitude, and foliage around the power systems. The team says they use the goals of the power system to select a large volume of input data from multiple sources and conduct a risk analysis, adding to the reliability of the system and its operations. Researchers at the University of Warwick in the U.K. have conducted a study suggesting Google searches more effectively track Type 2 diabetes. The team proposes that keywords entered into search engines, or posted on social media, related to symptoms or risk factors of the disease can yield accurate real-time data on diabetes' speculative or actual prevalence in specific regions, along with the underlying conditions. 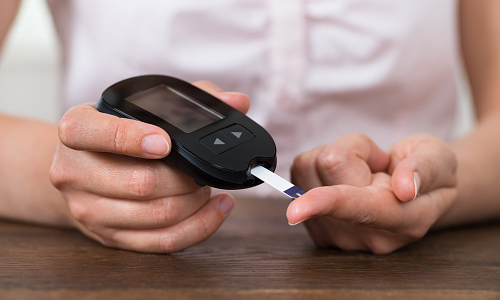 The researchers examined risk factors extracted from two U.K. diabetes monitoring models, and then analyzed Google Trends data from persons in the Central London area, comparing weekly fluctuation rates of searched keywords connected with these risk factors. "Unlike quickly spreading diseases, such slowly developing conditions are largely dependent on the personal and community lifestyles...which are currently unaccounted for in the screening models," says Warwick professor Nataliya Tkachenko. "Human online behaviors could help to bridge the gap between real-world human health landscape and synthetic, predominantly bio-centric monitoring tools." Researchers at the University of Washington (UW) note they currently hold the record (200 MB) for the amount of information stored in and retrieved from DNA molecules. The general methodology involves assigning digital data patterns to DNA nucleotides, and individual DNA strands must be significantly shorter than digital computer files--about 20 bytes of storage capacity for each strand--as lengthier strands complicate chemical synthesis. Following assignment of letter order, the DNA sequences are fabricated on a letter-by-letter basis with chemical reactions. A benefit of this process is the simultaneous generation of many identical sequences, which ensures sufficient backup copies. A sequencing machine that analyzes genomic DNA in cells is employed to read the data back out of storage, with the many backup copies guaranteeing data preservation even as the process destroys the DNA being read. The UW researchers have developed methods enabling identification and reading of only the specific pieces of information needed for retrieval from DNA storage.